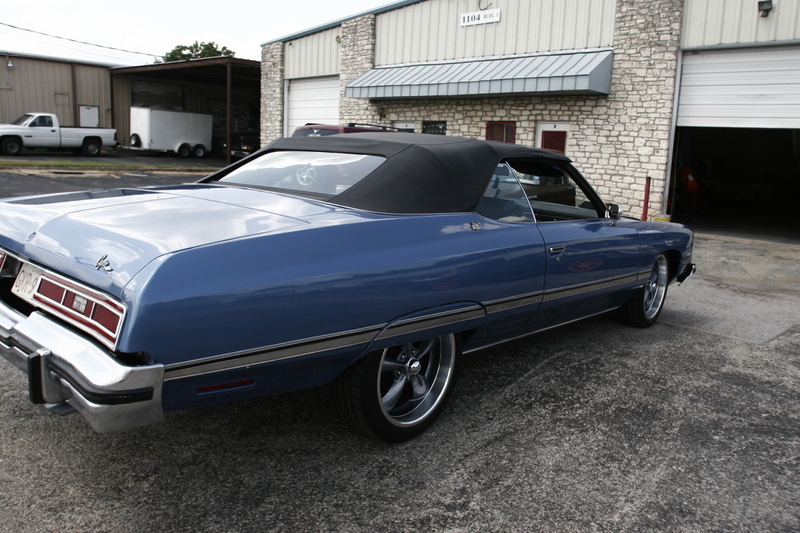 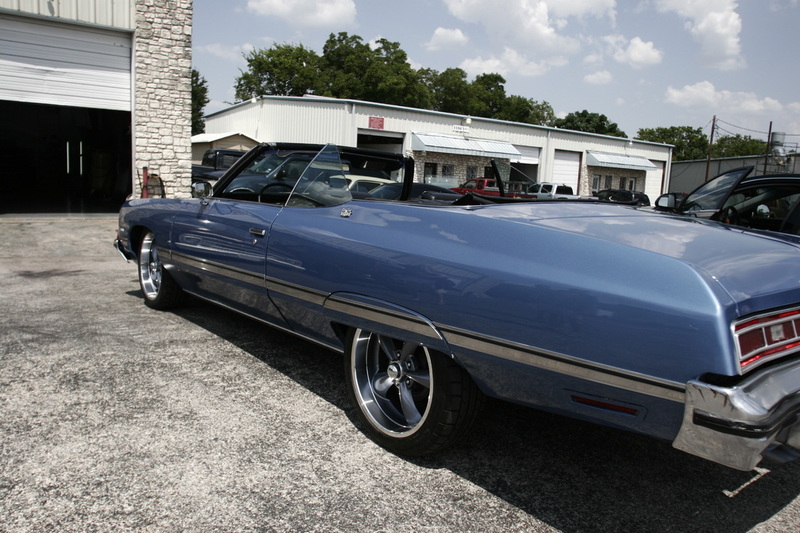 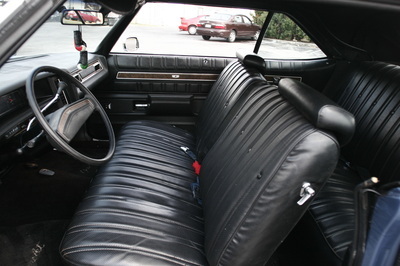 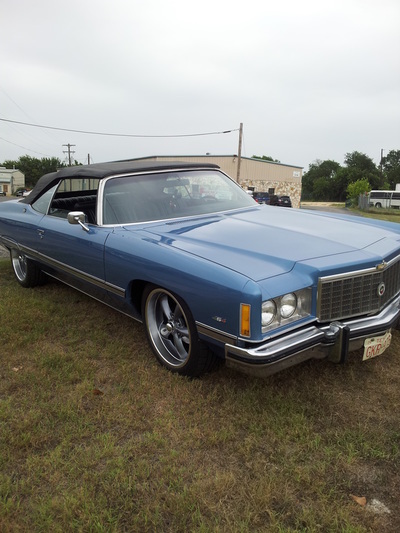 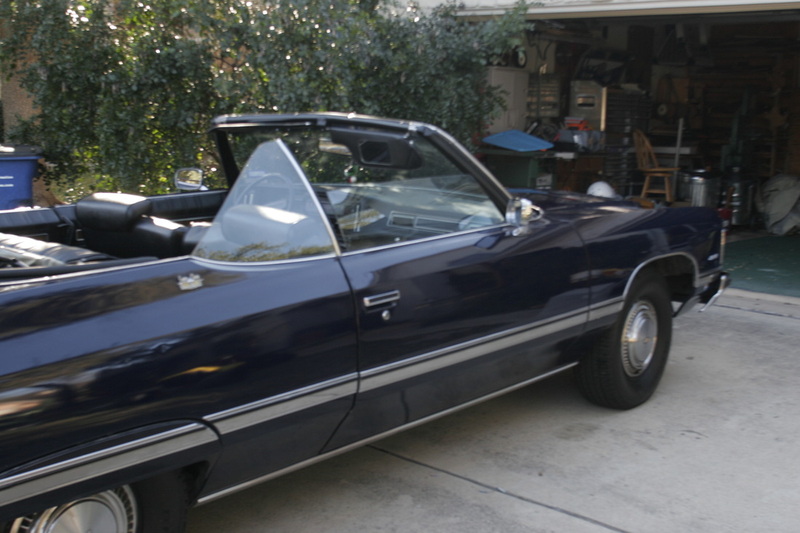 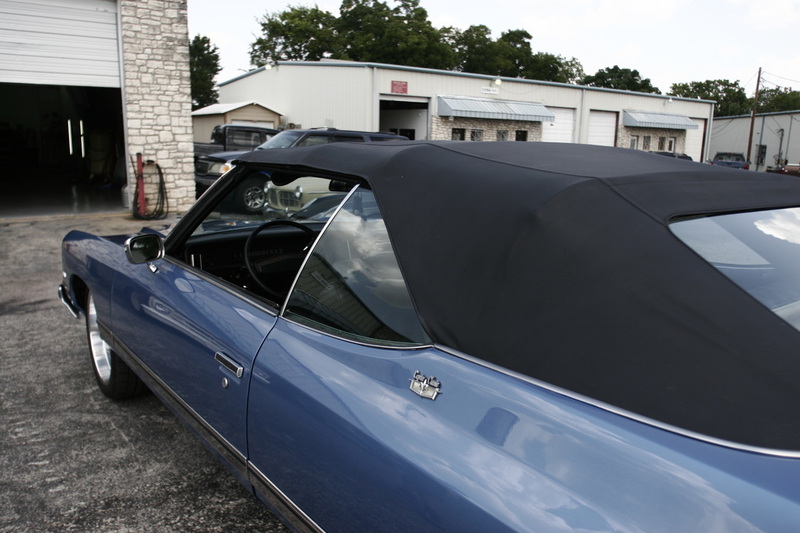 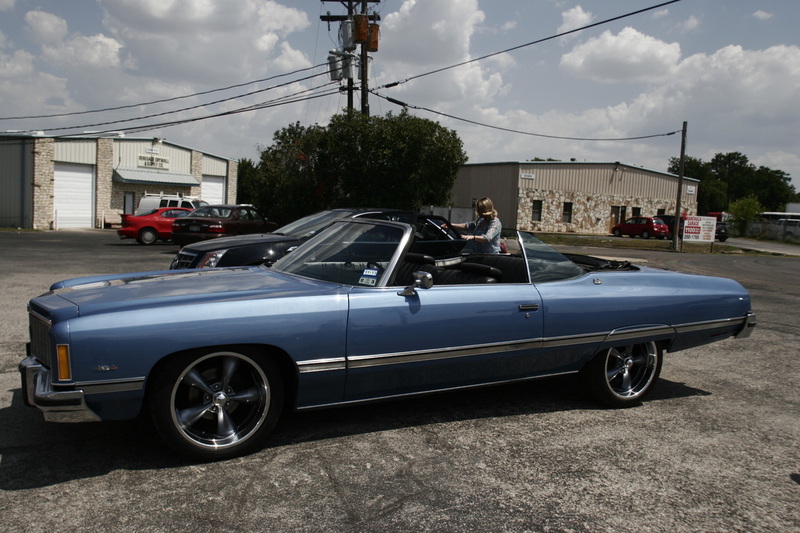 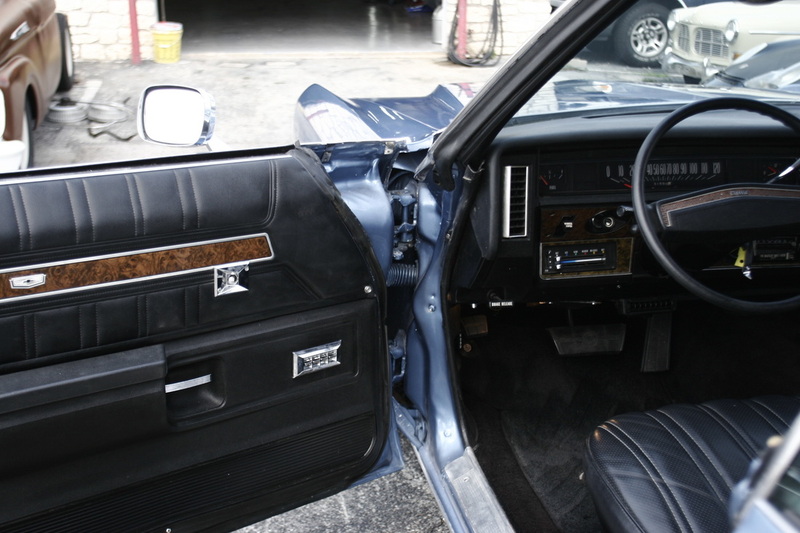 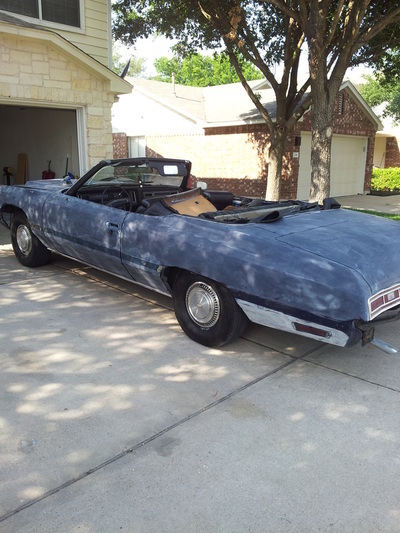 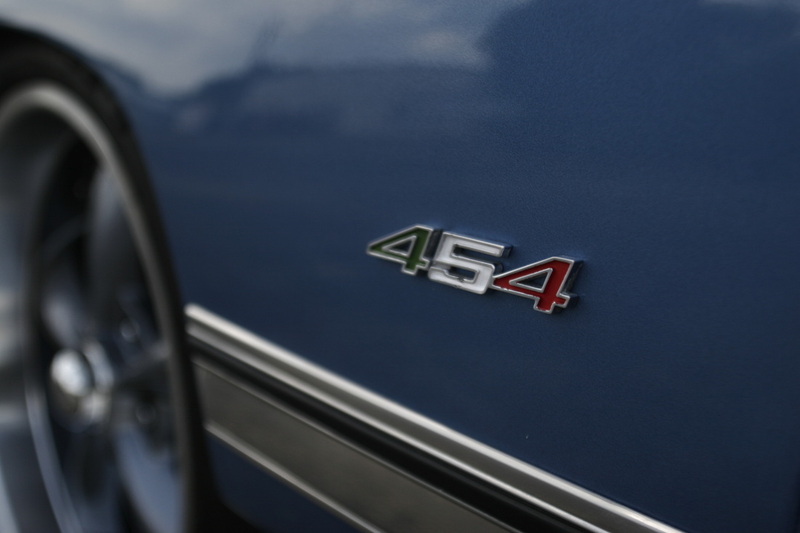 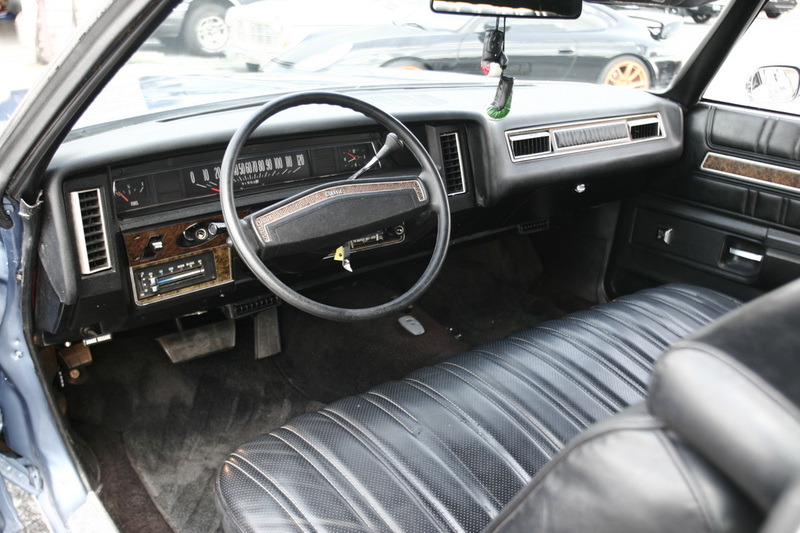 This 1974 Chevrolet Caprice Classic Convertible came into the shop with a drab appearance and needed a fresh facelift without breaking the budget. Sergio Cantu started with updating the color with a modern twist on an old classic base tone. 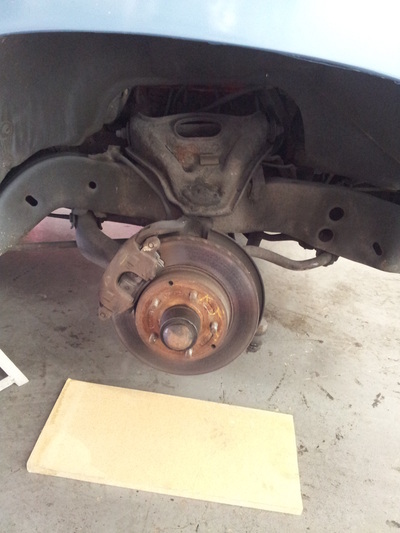 The front end was lowered using Hotchkis sway bars, coils and links to assist with the weight challenge. 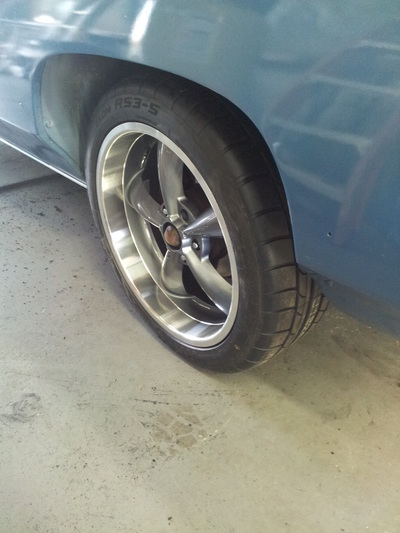 All new shocks helped with the ride quality and surpassed Sergio’s expectations. 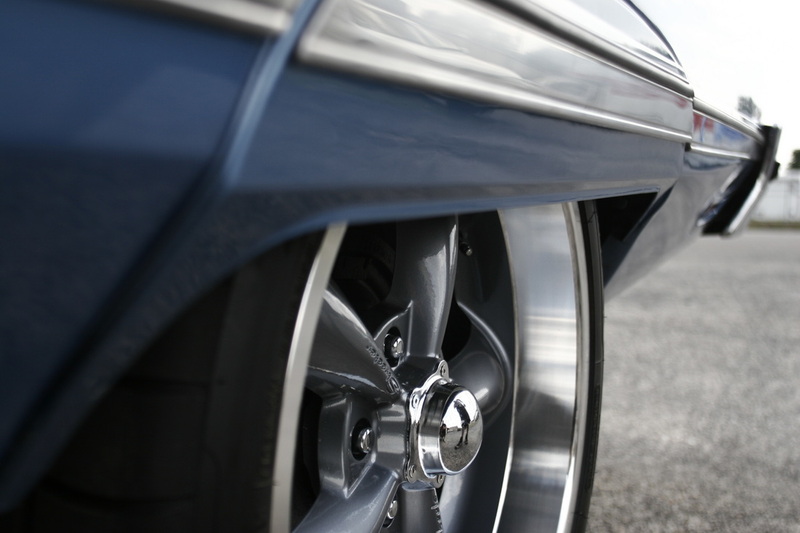 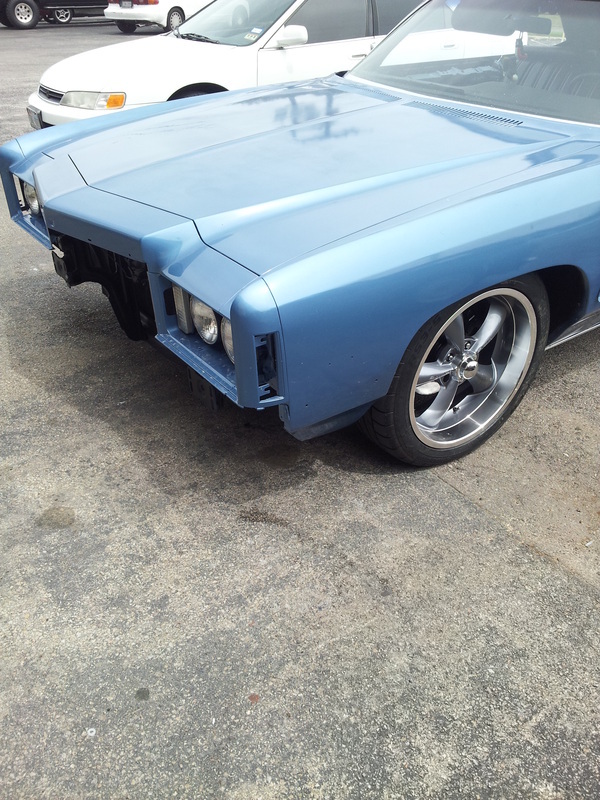 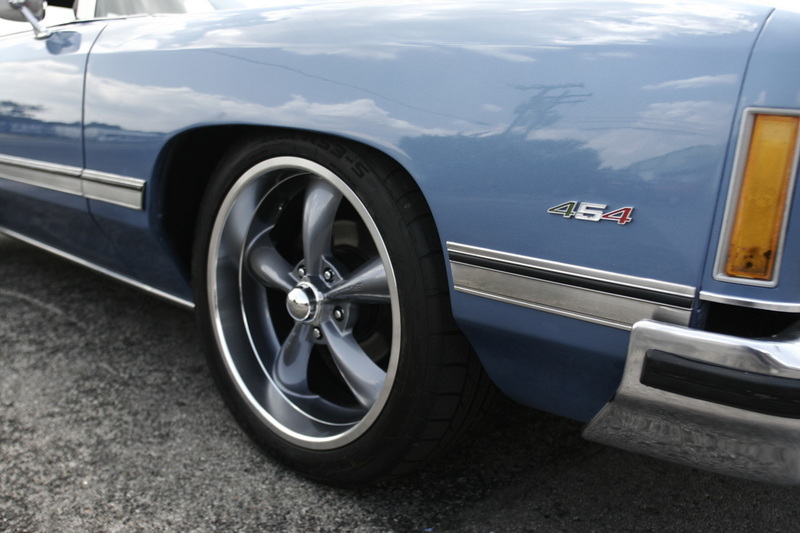 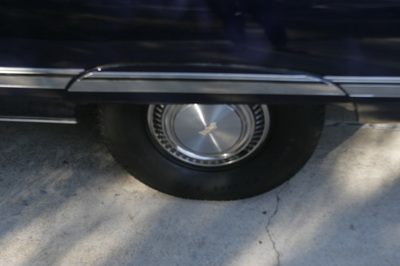 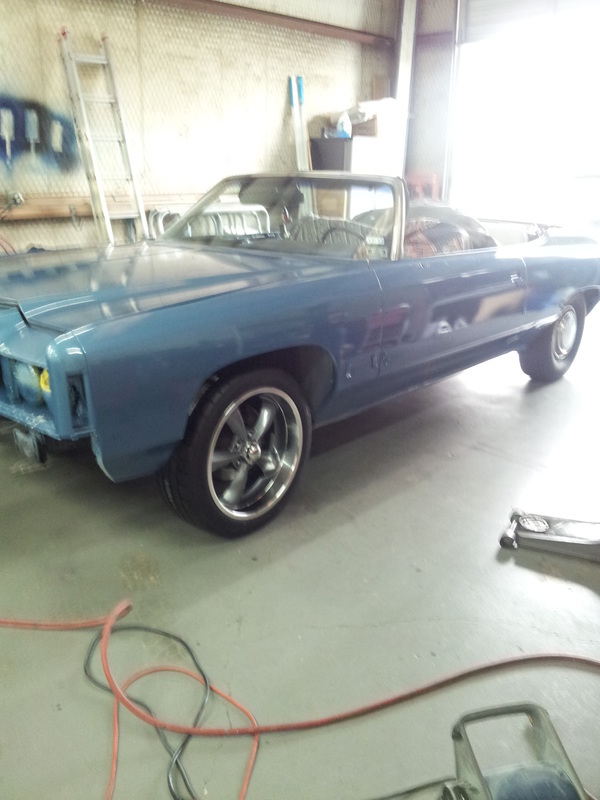 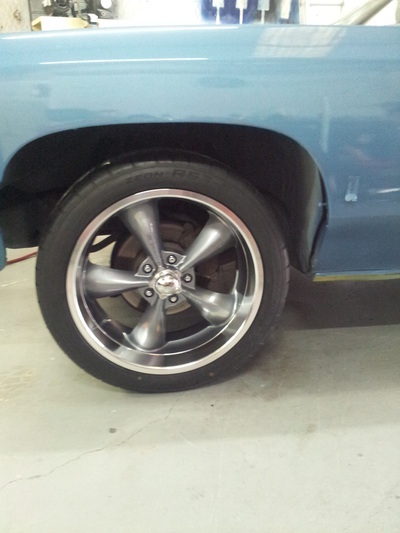 The top was restored, seats repaired, and the look was finished with classic 20x9.5 wheels all around. 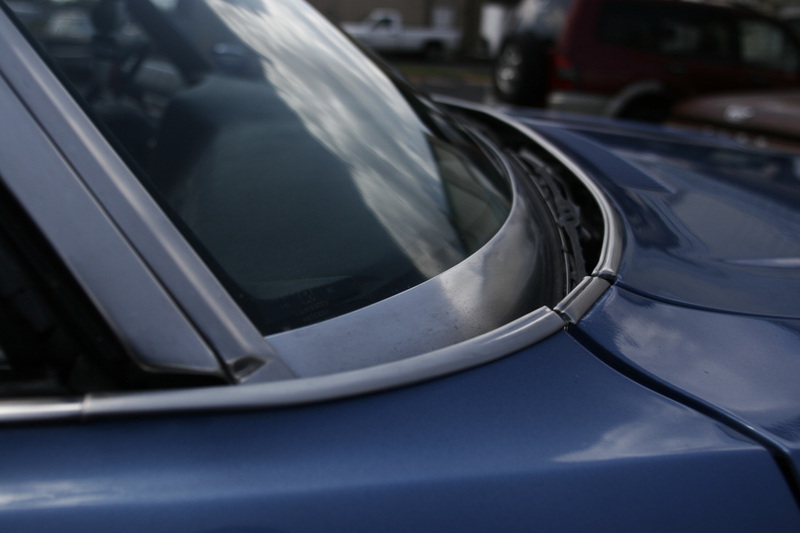 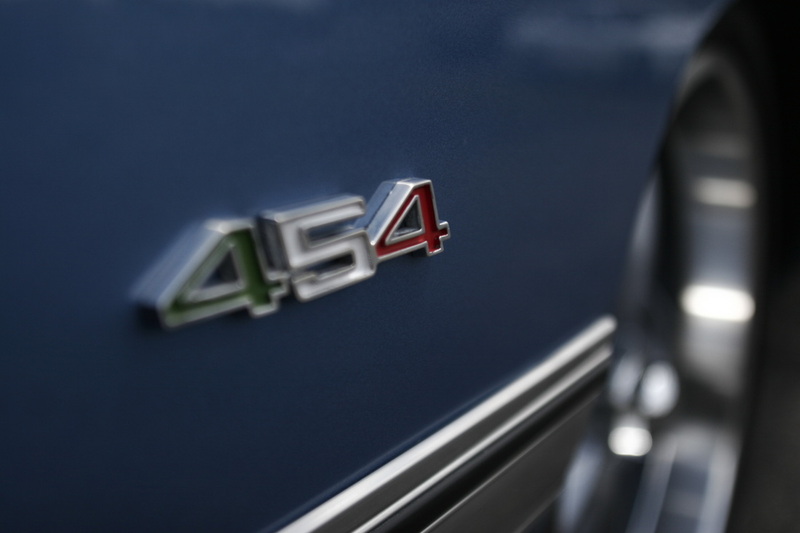 This car handles incredible and the owner couldn’t be happier. 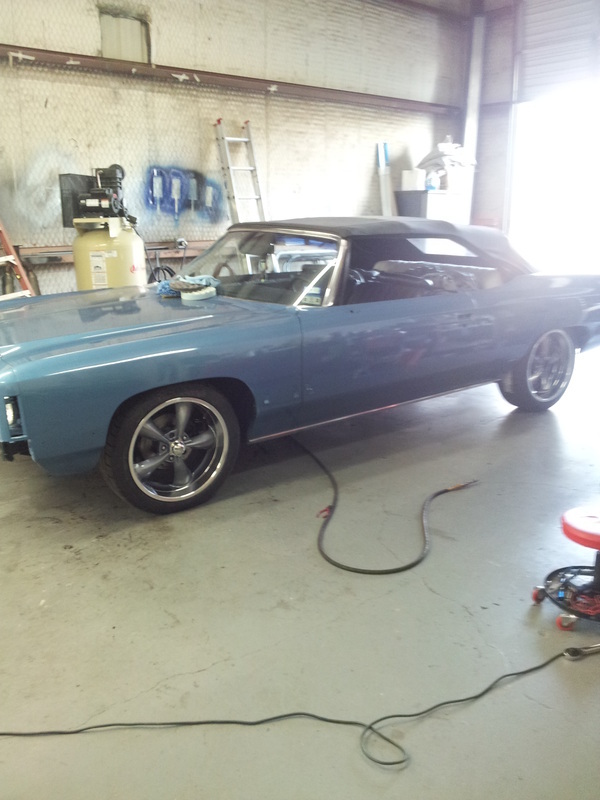 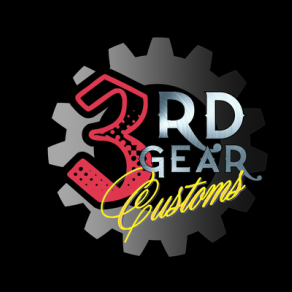 All this car needed was a little direction from 3rd Gear Garage and Hot Rod Shop. 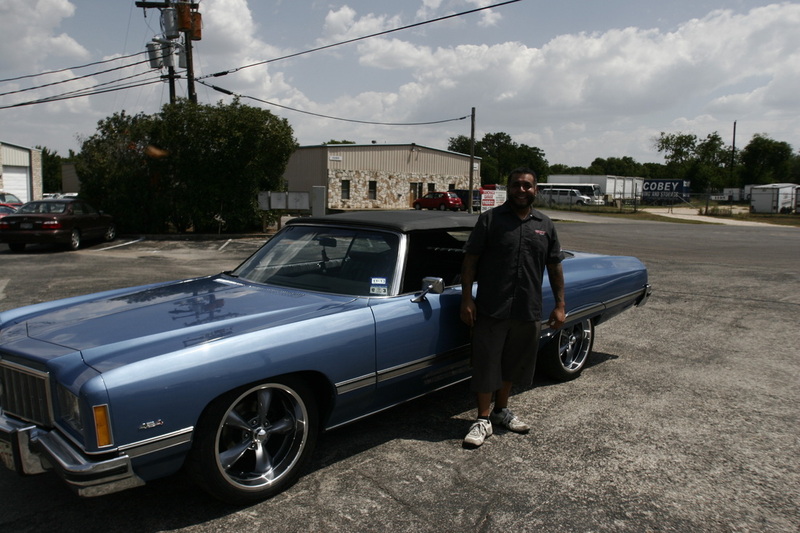 This is the caliber of work you can expect from Sergio’s shop. 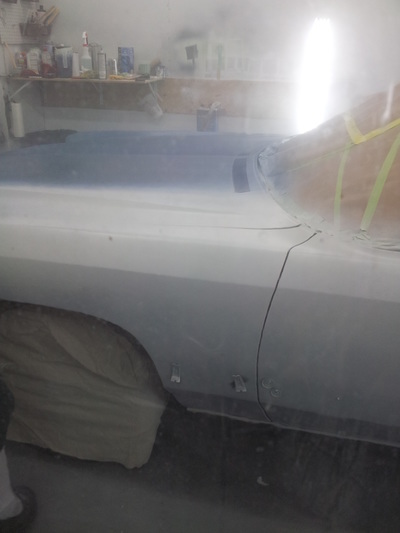 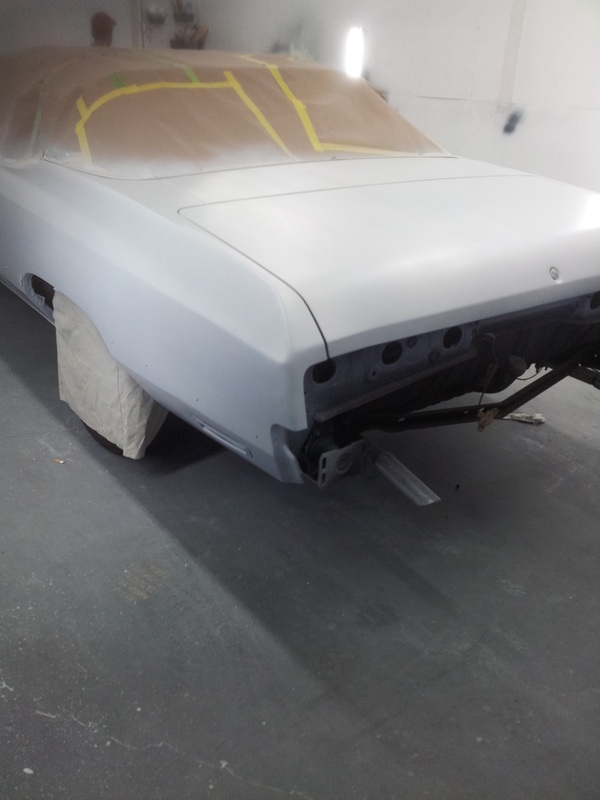 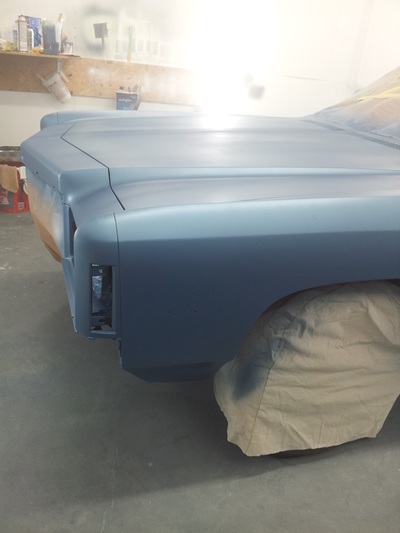 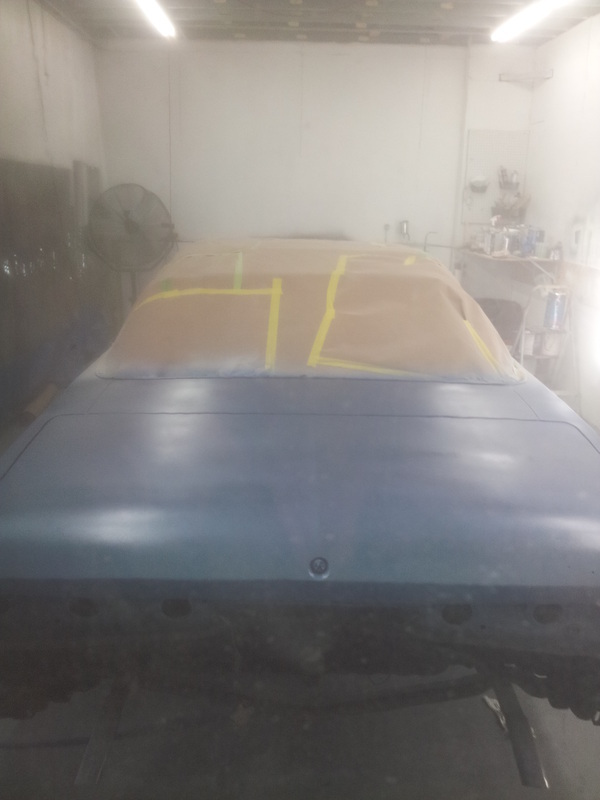 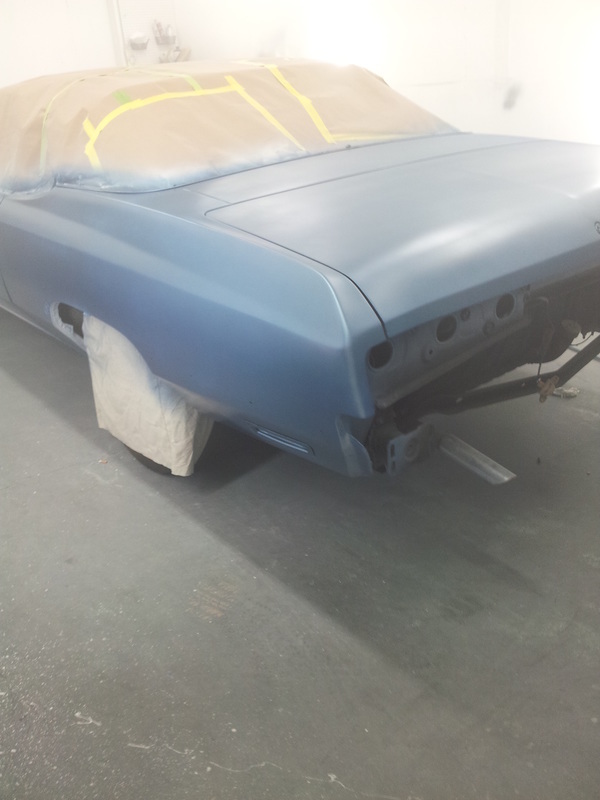 Below are pictures taken while building the 1974 Chevrolet Caprice Classic Convertible at 3rd Gear Garage and Hot Rod Shop. 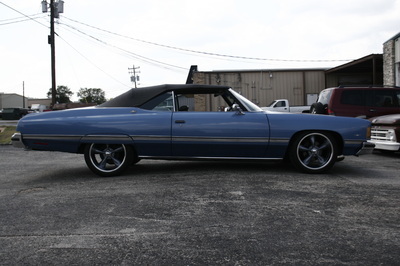 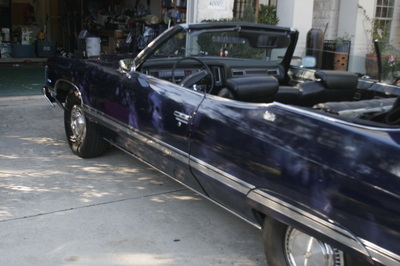 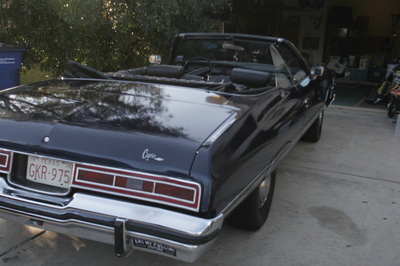 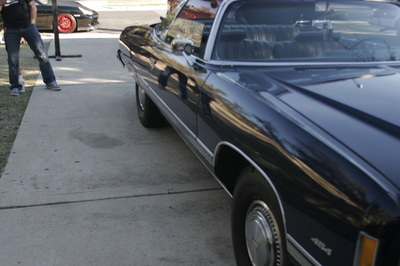 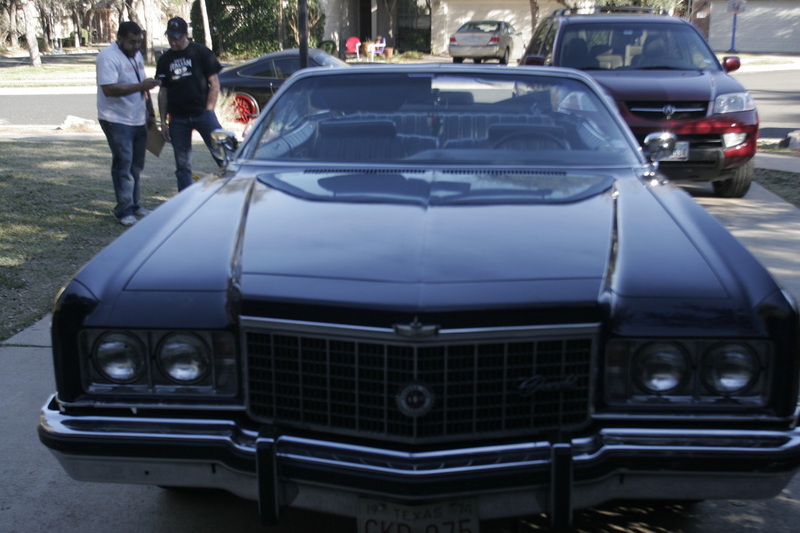 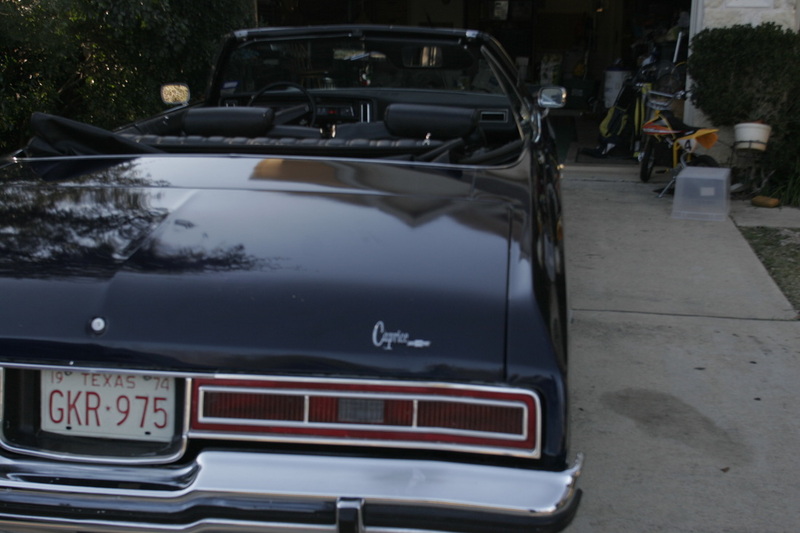 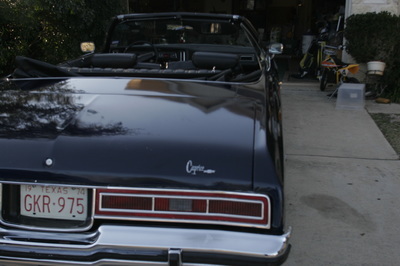 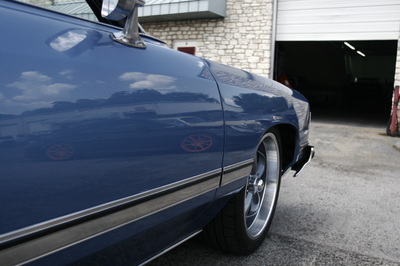 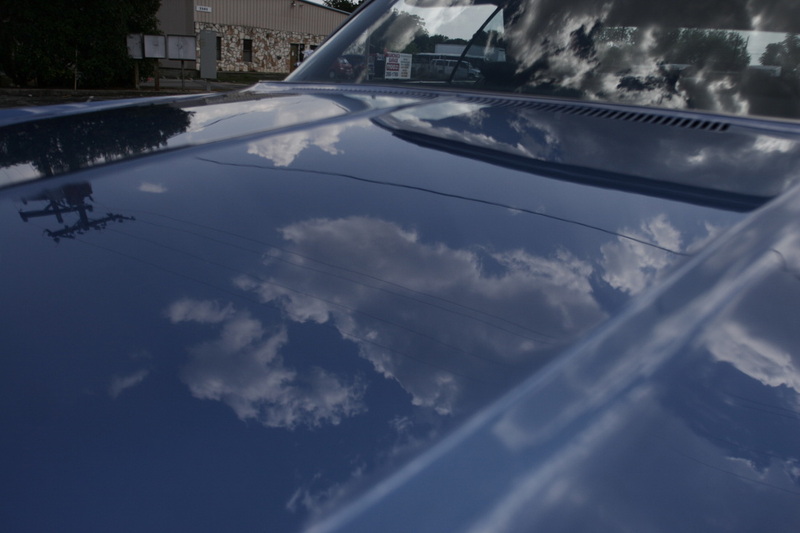 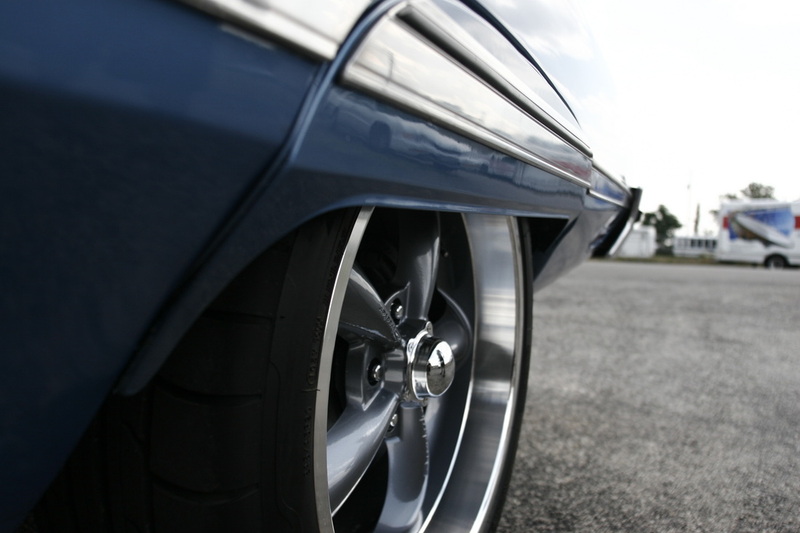 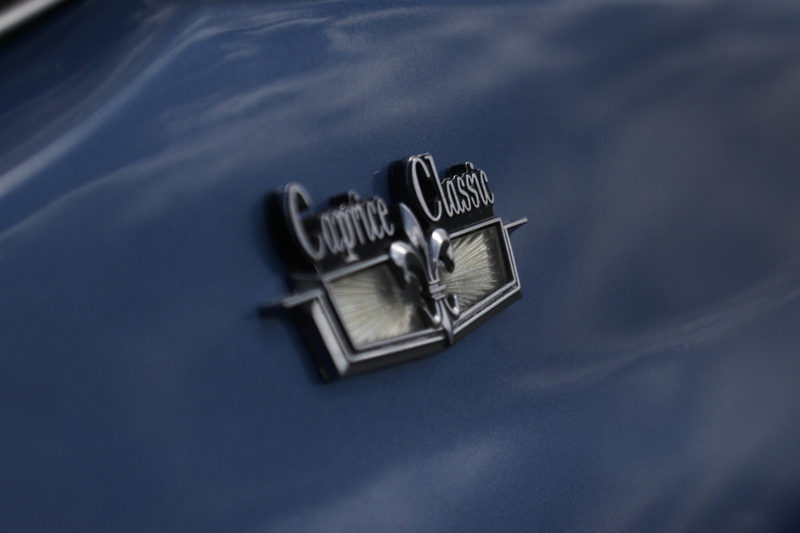 Below are pictures taken during the final photo shoot of the 1974 Chevrolet Caprice Classic Convertible outside 3rd Gear Garage and Hot Rod Shop.